QI faculty are leading the way in innovating physical/virtual interactions in the arts, humanities, and education. From tech-enabled dance and music performances to virtual 3D replicas of historical sites to hyper-sensitive touchpads that allow users to view and peel back the layers of the human body with a touch of the hand, the institute’s labs and research centers contribute to digital cinema, immersive telepresence, gaming and game culture, machine improvisation, embodied interaction, distributed and participatory performing arts, digital art history, ethnography, archaeology, and other areas. 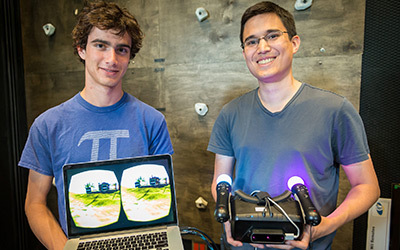 In particular, QI’s advanced networked visualization, audio spatialization and virtual-reality facilities allow experiments on a scale unusual in academic settings. 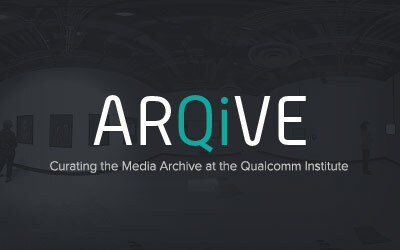 Using global fiber-optic connectivity, QI creates real-world performing environments to support high-fidelity interactions, as well as providing distributed workspaces for multi-institutional projects in the other QI interdisciplinary domains. Social scientists’ study of the use of these emerging virtual/physical spaces gives QI an ability to help accelerate productive use of these new modes for the creative arts, economic organizations, and the educational enterprise.